Englewood was incorporated by the New Jersey Legislature in 1899, replacing what was originally Englewood township. Over the years, this Bergen County city has seen steady residential growth, and in the 2010 census had a population of over 27,000 residents. Originally populated by the Lenape Native Americans, Englewood became known as the first primarily English-speaking colony on the New Jersey side of the Hudson River. With its convenient location and natural features, such as Flat Rock Brook Nature Center, Englewood continues to be a popular choice for those looking for the best in suburban living. 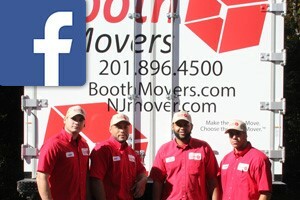 Booth Movers has been the premier Englewood moving company for many years. With a stellar reputation built upon our Englewood movers’ dedication to detail and quality service, Booth Movers can handle any residential or commercial relocation regardless of size, complexity, or destination! As a BBB-accredited business and a trusted agent for Atlas Van Lines, our Englewood movers have the equipment and global resources to manage all the details of your local or long-distance move. When working with our Englewood moving company, you can expect the best in customer care during every stage of your relocation! Residential Moving – Regardless of distance, our Englewood movers will ensure that your residential relocation is a smooth, easy process. Household Moving – No household relocation is too big or too small for the expert team at Booth Movers! Local Moving – For local moves within the Englewood and Bergen County region, nobody knows the area better than Booth Movers! Long-Distance Moving – When you are planning a long-distance move, you need to ensure you are working with the first choice among Englewood moving companies! Interstate Moving – From start to finish, our interstate moving services will exceed your expectations for a seamless relocation. Full-Service Moving – Whether you need help packing your home or have valuable items to transport, our Englewood moving company does it all! International Moving – Take the stress out of your international relocation by having Booth Movers handle all the details! Are you ready to learn more about how our Englewood movers can assist you with your next relocation? Give us a call today, or fill out our quick online form to request your free moving estimate!